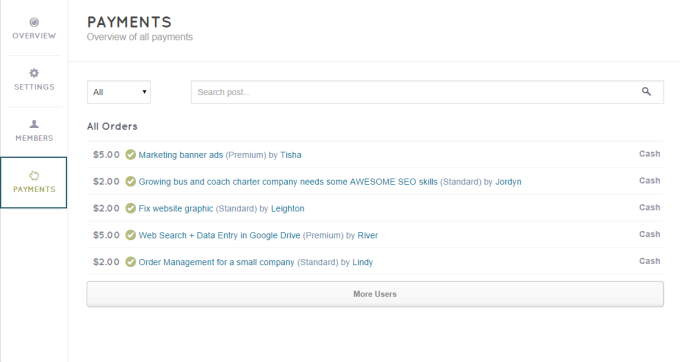 You can also use the dropdown list at the end of each user’s name to change its roles. The system will then automatically save whenever you do your changes. You can manage all the payments have been made. Choose Engine settings > Payments.